SKU: 9517. 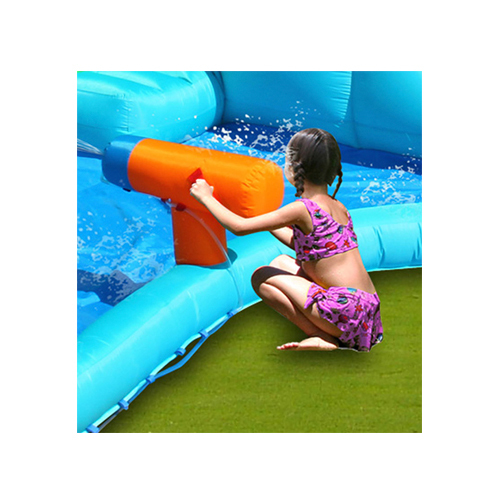 Categories: Inflatable Water Slides, Wet & Dry Combos, All Products. Tags: On Sale, Water Cannon. 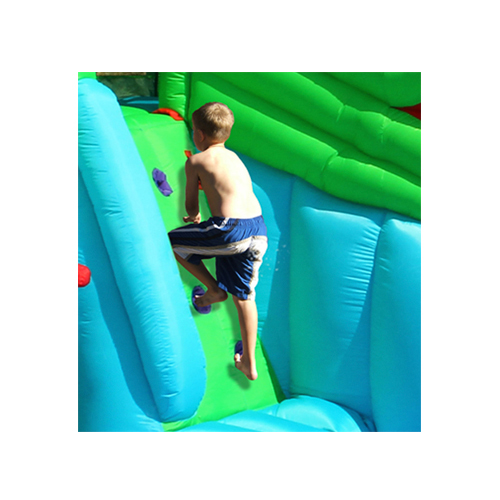 Your little adventurer will love splashing and exploring on the Happy Hop Crickey Crocodile inflatable water slide and get wet in the crocodile splash pool, climb up the wall and slide down through Crocodile’s big head…watch out for his teeth or get down on his long tail and play with sprayers. Whatever you choose you will have fun summer! 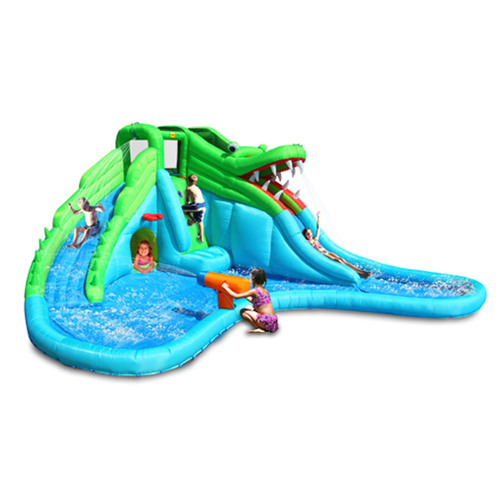 Do you want to be the best kid on the block…wait no longer, ask your mum or dad for this new Crickey Crocodile water slide to have the best summer fun ever. 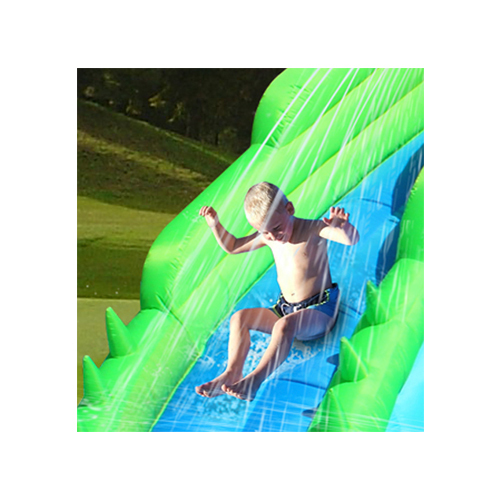 This is my children’s third wet/dry jumping castle as they get so much fun out of them. On Christmas day we had five children on it having a ball, from the ages of 4 through to 14. Love this product and would recommend it. Very happy with the crickey crocodile water slide. I wanted something that could accomodate a group of kids without worry of it getting holes and able to allow a group to have loads of fun. 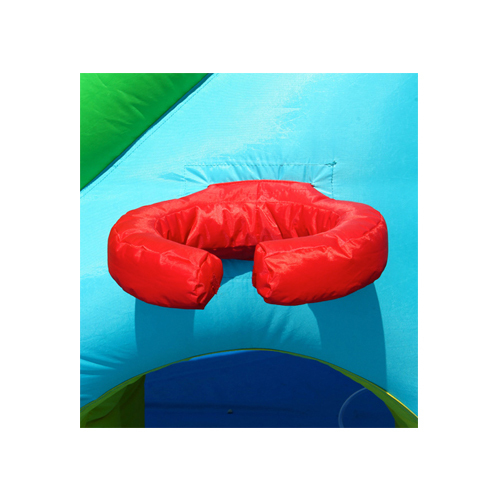 This slide is perfect awesome for all ages from tiny toddlers (babies) to paddle in the pool area, right up to their teenage years. I do family day care and all my kiddies love this. All my parents of my day care kids are very impressed on how quick and easy it is to assemble it takes seconds to blow up. We are very impressed. I wanted quality and I got it.